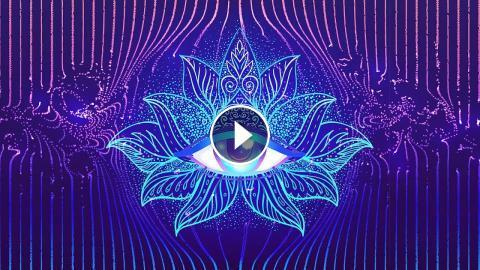 852Hz Solfeggio Frequency based music along with soothing chants of Wah Yantee Mantra - The Kundalini Mantra to Awaken Intuition. along with 852Hz tone which is associated with Third Eye Chakra, makes it a powerful combination and meditation more effective. We hope this will help you in your practice. Many Blessings and peace all the way!! all that is the Great One. Three aspects of God: Brahma, Vishnu, Mahesh. This Mantra is Given to us by Yogi Maharashi Pitanjali, some 2000 years ago. The Wah Yantee Mantra is known for Awakening of Intuition and relates to the Second Chakra - the Sacral Chakra which is the seat of creativity. When the Mind is Clear, when we start thinking with our hearts instead of our minds, we let all the thoughts and pain out of our energy system. Thats when we are ready to receive that gift of intuition and creation which is within all of us. ~ Understand ~ Meditate ~ Chant and Sing Along ~ Connect and support others down below! Cultivate Mindfulness. Breathe Fully. Remember the journey itself is the reward!